But the onDataChange listener is not being called. I would like to get the values of "checked" and "desc"; However, when I add a listenForSingleValueEvent listener like below, onDataChange is not called and I do not retrieve the values. String name = (String) dataSnapshot.child("checked").getValue();"
Inside onDataChange it still will not fire. From what I've read from the Firebase docs, I must use a listener to read data. I have similar code in another section of the app which more or less does the same thing as the above code is supposed to and it works perfectly. I've been having a lot of trouble with Firebase recently so any help appreciated. Cheers! Log.d(TAG, databaseError.getMessage()); //Don't ignore errors! If you it still doesn't fire, please check the logcat to see that databaseError.getMessage() returns. I'm working on a chat app. The ChatFragment has a chatList that get data from Firebase realtime database and add one by one item using childEventListener (onChildAdded). When orientation change or user leave the fragment, I want to keep the chatList that were received, remove the listener and then re-attach listener when user go back to chat fragment or when orientation change completed. The problem is, when activity/fragment was re-created, the childEventListener was lost, so I have to re-create new listener. But by that, the chatList was duplicated because the onChildAdded was called and add all chat item again. I think of comparing the chatList's item with the item was received in onChldAdded, if it exists, just skip it. But it's quite waste time, and not what I want to do: keep the current data, no need to reload from firebase DB, and also keep listener for new item. Or can I save all the listener and get it back somehow, I don't know. So, in short, I want to keep both data and all the firebase listeners for new item/changed item when re-start/re-create activity/fragment. Sorry for my bad English. Thank you so much. I tried everything that I was able to find on google. 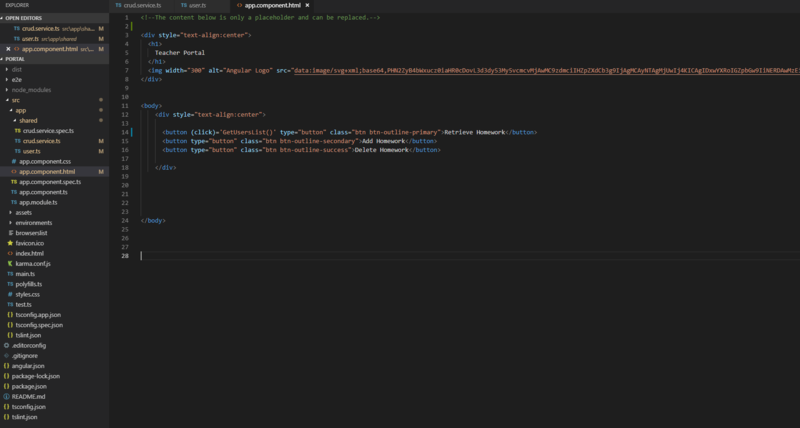 I'm trying to connect my Real-Time Database to my Angular 7 application. And I'm trying to code my Angular 7 app to be able to use the CRUD operations to update the database. I've added my Real-Time Database's API keys in the environment.ts file. I'm not sure what are the codes (HTML,CRUD,Service.ts) to use. (More of displaying the Homework List, Adding Homework and Deleting Homework) Like what's the code to display,add,etc. 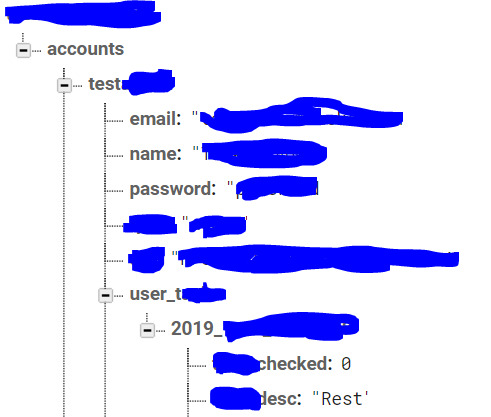 I'm using FireBase realtime database structure like shown below. and want to extract all model which has red color. i tried using below query but not getting expected result. As mentioned in title, i am trying to show my firebase data in a recyclerview. This is how my firebase looks like. I am using a model class too. I am attaching the files below. I want to display mainly these 4 items in my cardview. I tried doing different things but still stuck. Any help would be appreciated. Thanks in advance.